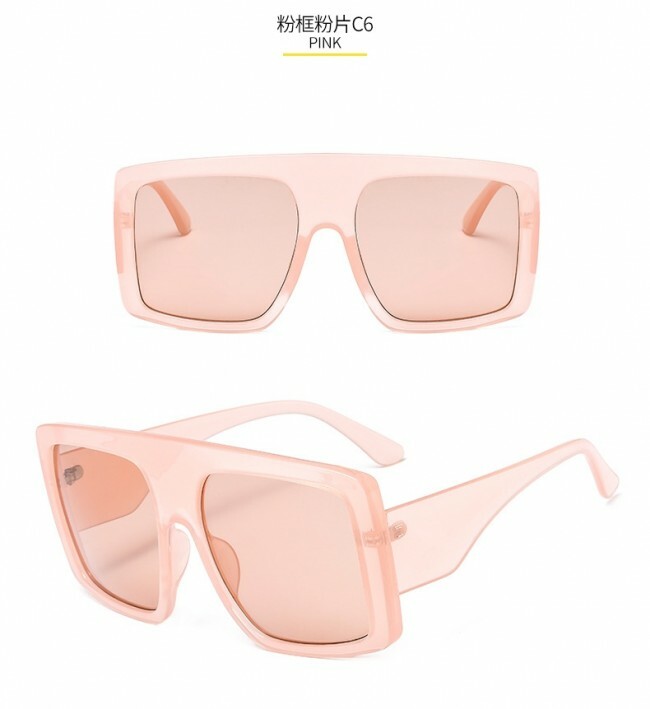 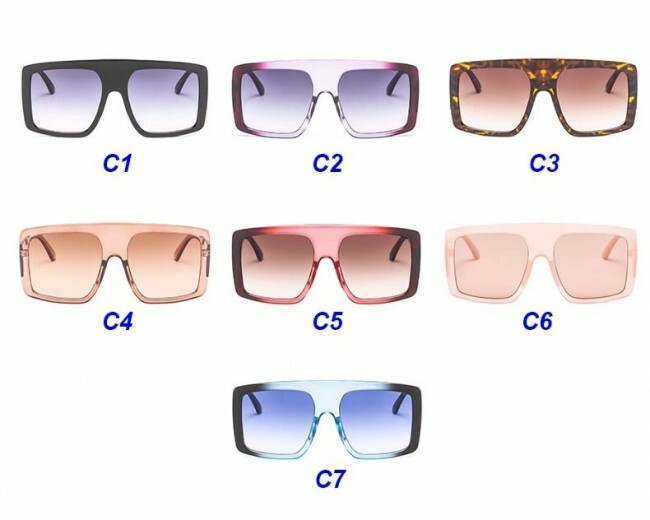 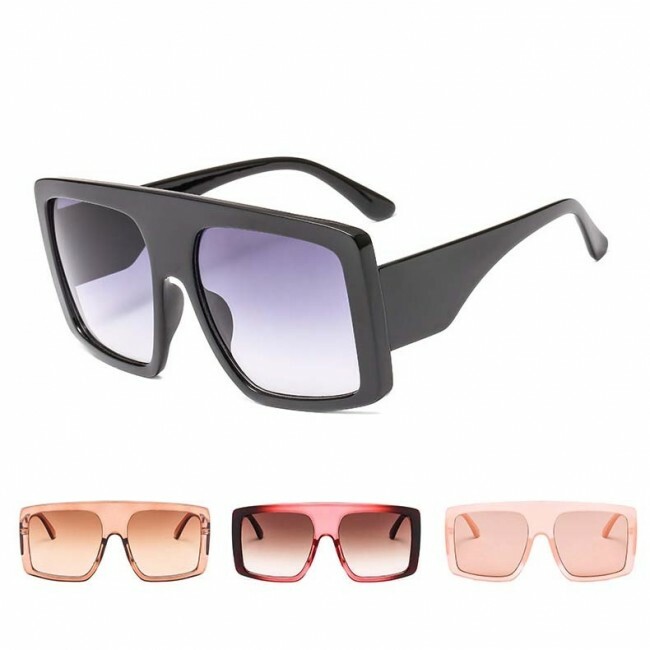 Great sunglasses at a super affordable price, a definite win-win for your summer vacation. 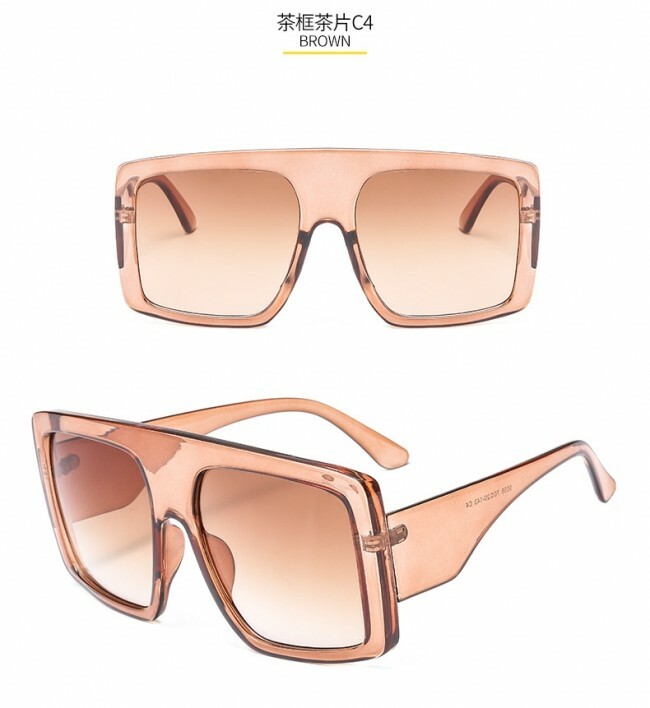 If you have a round face, this rectangular option is an excellent option. 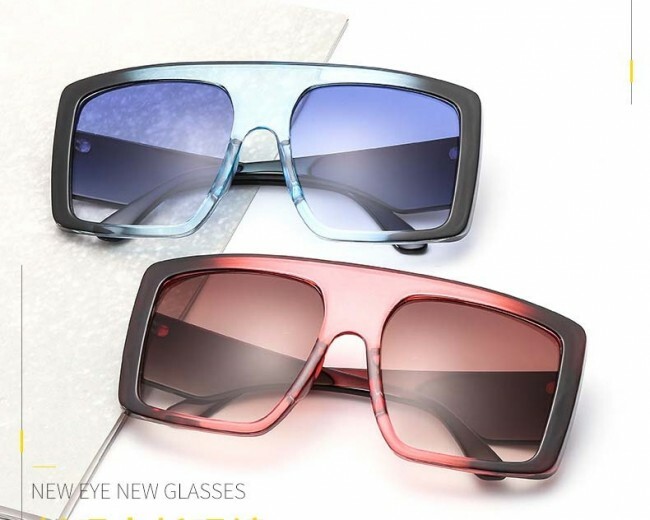 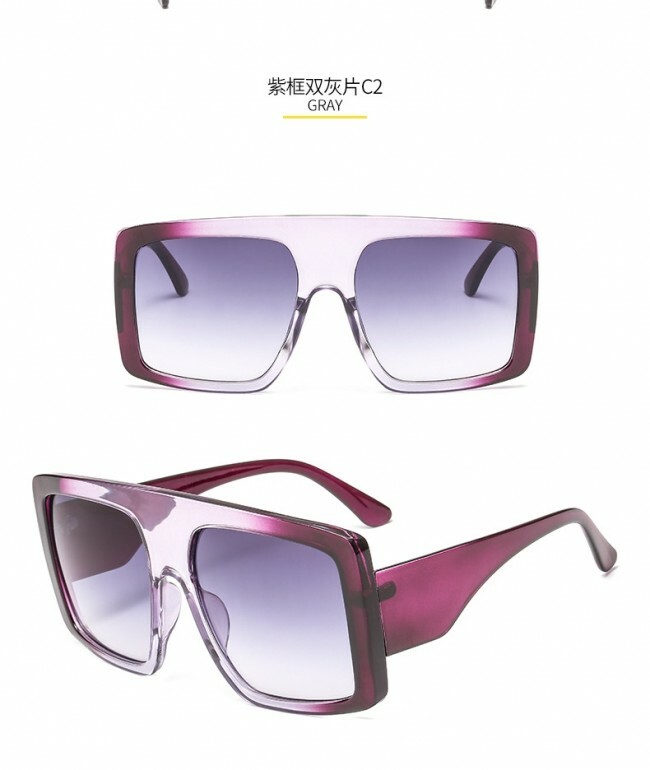 Stylish large lens sunglasses feature a sleek square design and an unique flat top frame. 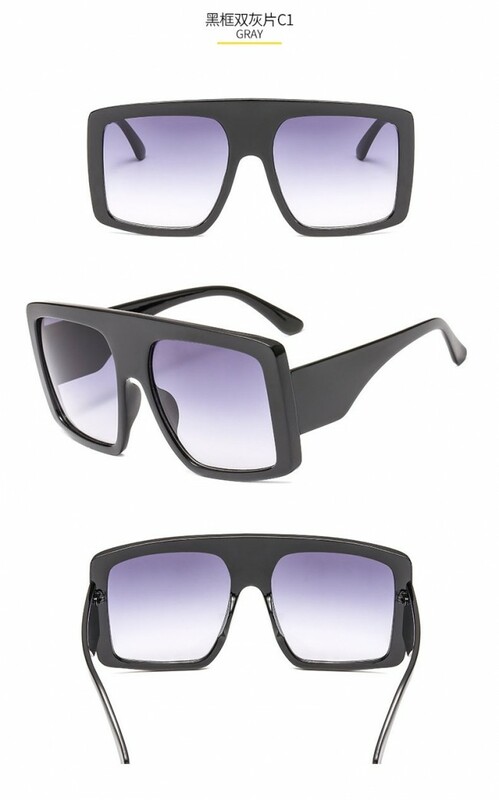 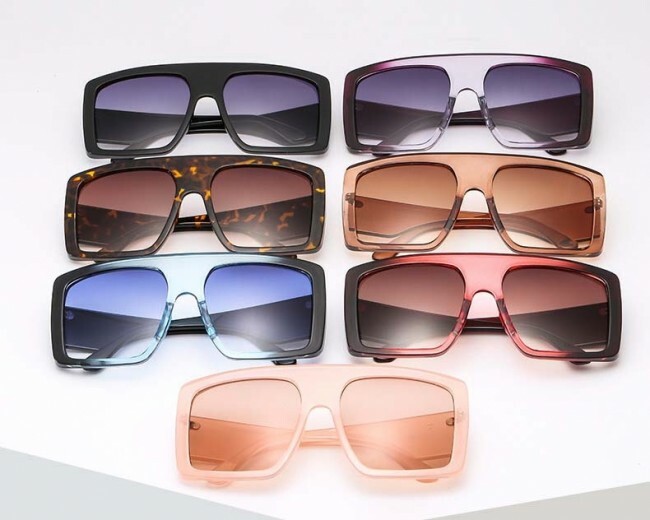 The designer inspired shades take on a futuristic flare and gives a fresh new look to eyewear. 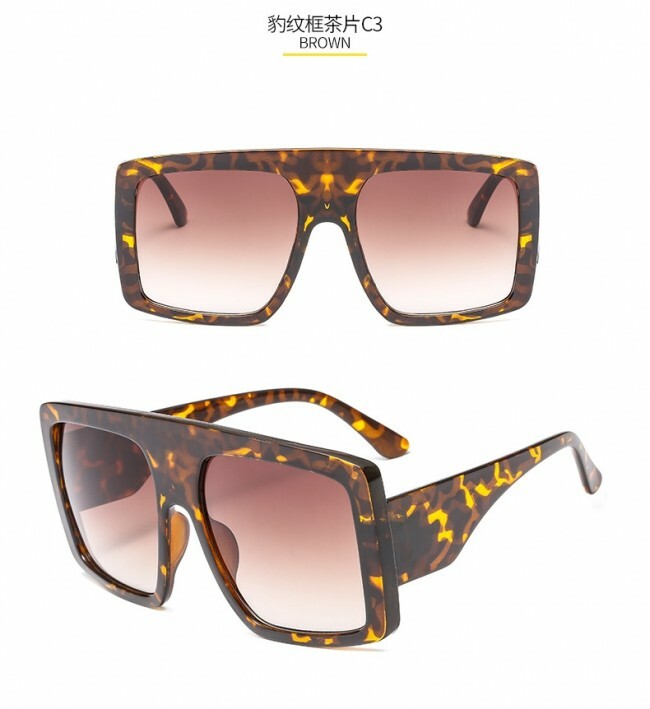 This style features a vibrant fade lens and a alluring silhouette will transport you right into the future. 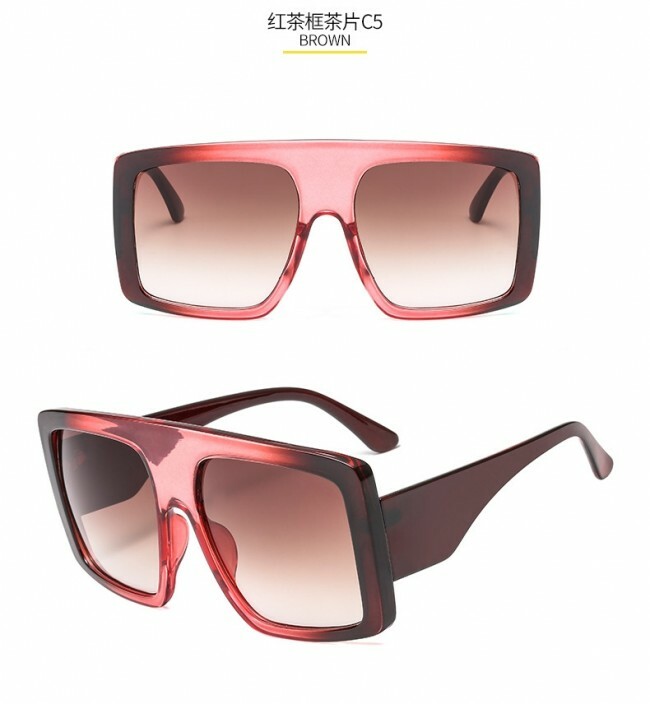 Made with a plastic based frame, reinforced metal hinges and polycarbonate UV protected lenses.